Jessica Kingsley Publishers, 9781849058735, 302pp. Savant syndrome is a rare condition in which individuals with developmental disorders, including autism spectrum disorders, have one or more areas of expertise, ability, or brilliance - "islands of genius" - that exist in contrast with their overall limitations. In this fascinating book, Dr. Darold Treffert looks at what we know about this remarkable condition, and at new discoveries that raise interesting questions about the hidden brain potential within us all. Dr. Treffert explores the phenomena of genetic memory - instances in which individuals somehow "know" things they never learned - and sudden genius or "acquired savantism" - where a neuro-typical person unexpectedly and spectacularly develops savant-like abilities following a head injury or stroke. Showing that these phenomena point convincingly towards a reservoir of untapped potential - an inner savant capacity - within us all, he looks both at how savant skills can be nurtured, and how they can help the person who has them, particularly if that person is on the autism spectrum. A central colour section contains the extraordinary artwork of some of the savants who are mentioned in the book. 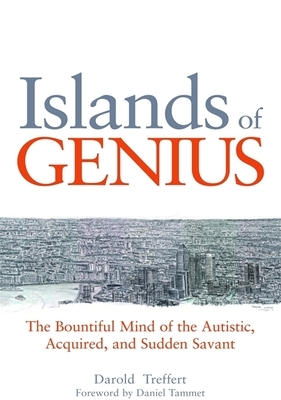 Islands of Genius will intrigue anyone who has ever wondered what makes the mind of a savant tick, as well as clinicians, parents, teachers, therapists, and others who care for, and about, individuals with savant syndrome.